Welcome to Therm Products, a Division of Caldesso LLC's website! Therm Products, a Division of Caldesso LLC is a California based company that manufactures electric heater assemblies, heating elements, blowers, heat exchangers, residential & commercial rails, and UV generators. Therm Products product lines cover a wide range of applications and sizes. Our product applications include swimming pools, spas, water parks, water fountains, waterfalls, water features, recreational ponds, koi ponds, fish aquariums, cooling towers, sumps, laboratories, heating systems, radiators, cleaning systems, anti-fungal requirements, agriculture, and many others. Therm Products product sizes vary from small residential units to large commercial systems. Therm Products' manufacturing facility is a 30,000 square foot plant located in southern California, with well trained employees and state-of-the-art equipment. Therm Products' experienced sales and engineering staff, and its production and sales management system assure the highest degree of customer satisfaction. Therm Products Division of HydroQuip, inc.
We're honored to be the designer and the supplier of the Jacuzzi's CLEARRAY Water Purification System for which Jacuzzi were awarded two 2013 awards for design excellence. 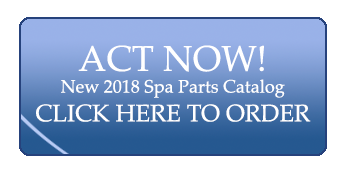 We are pleased to announce our receipt of two 2013 Awards for Design Excellence (ADEX) for the J-495 hot tub and CLEARRAY Water Purification System. The J-495, a commanding 9-person hot tub with an impressive 62-jet layout, and CLEARRAY Water Purification System, which utilizes an exclusive ultraviolet technology, both received the Platinum ADEX Award for their innovation and design excellence.